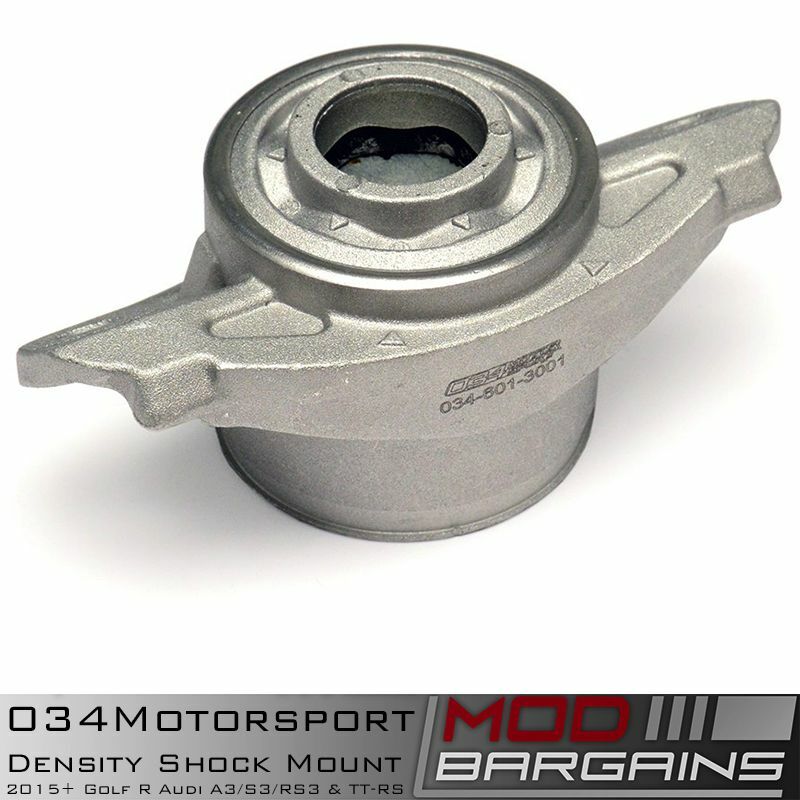 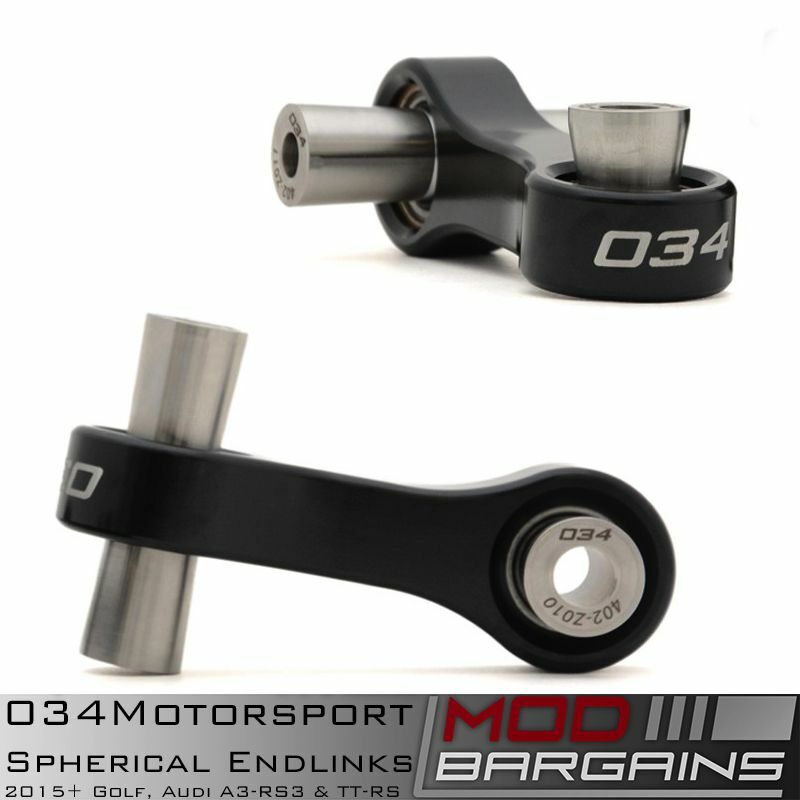 Built to exceed the factory plastic end links, 034Motorsport's spherical end-links are CNC machined in house out of 6061-T6 Aluminum and anodized black for durability and a stealthy finish. 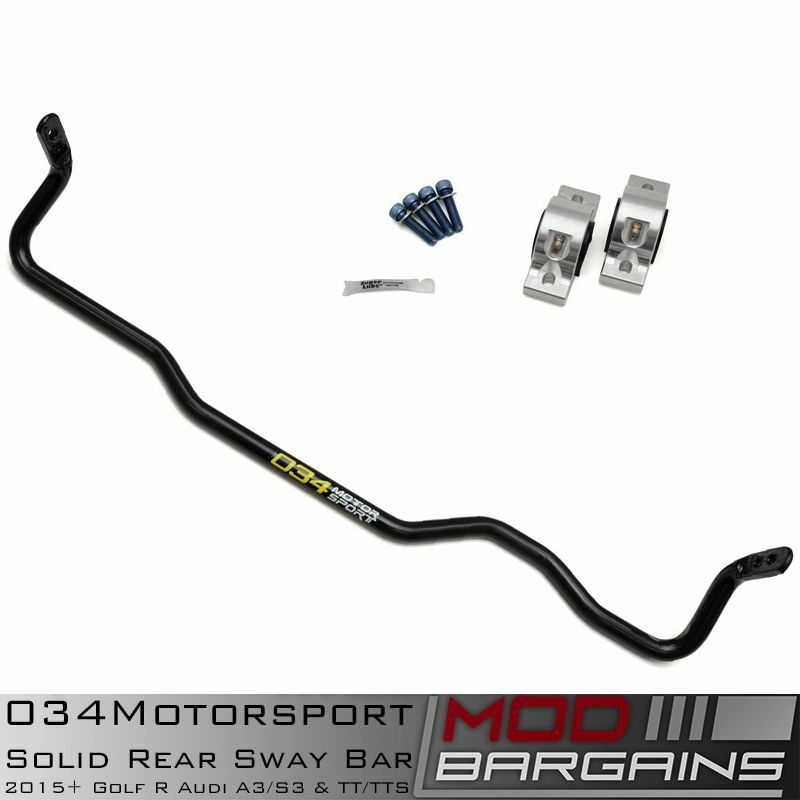 These end-links will never flex or bend underload providing uncompromised transfer of suspension movement directly to the sway bar, effectively increasing handling and feel. 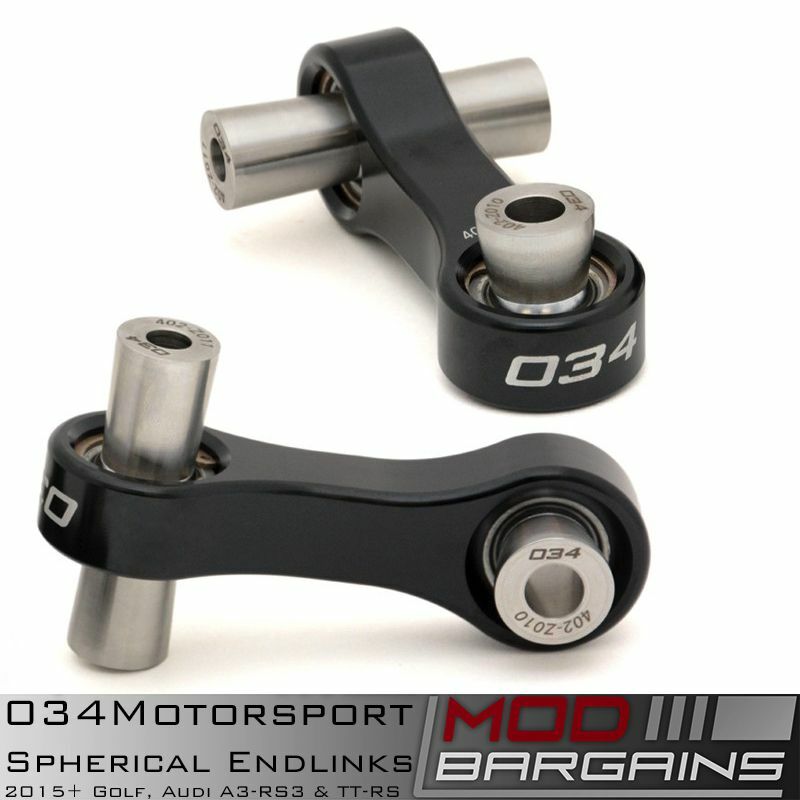 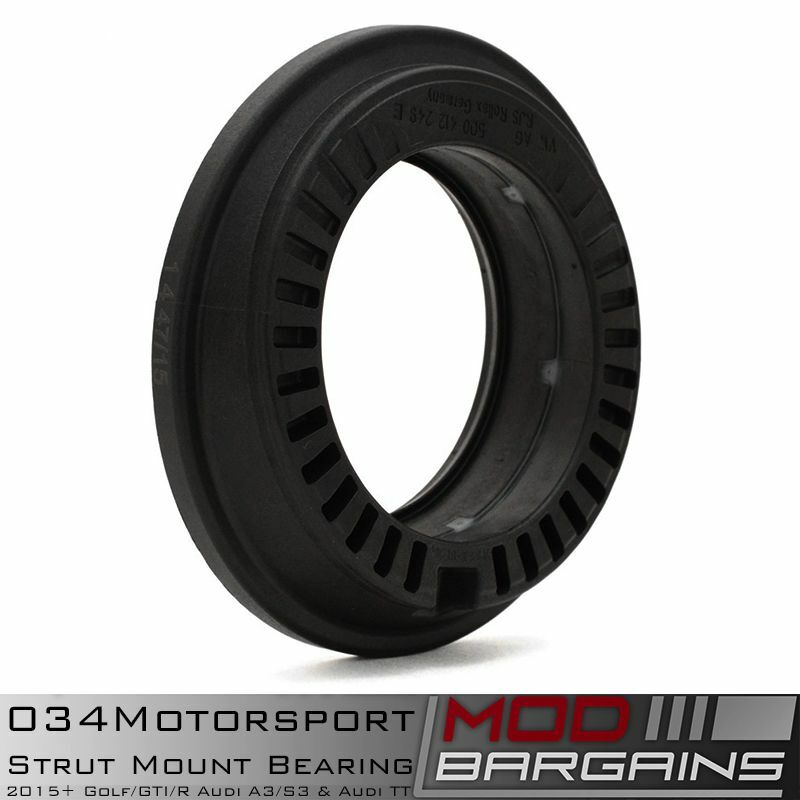 Unlike cheep 'no name' end-links with unknown spherical bearings, 034Motorsport's use industry leading and Motorsport renown Teflon-Lined Aurora Spherical Bearings ensuring smooth, bind free performance for years to come. 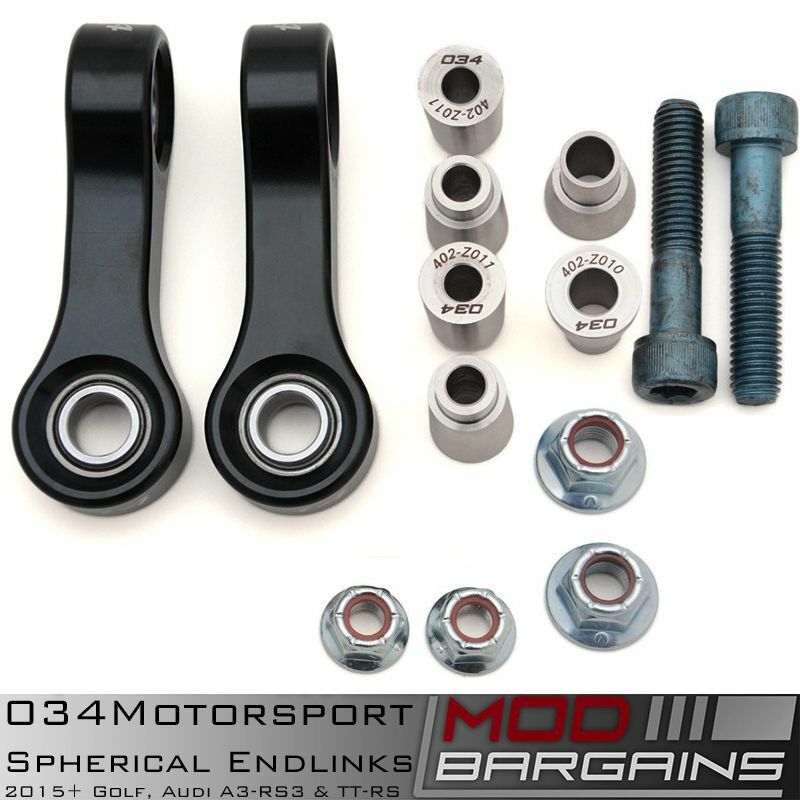 Kit includes end-link pair with hardware, are directly compatible with both OEM and aftermarket sway bars, and completely serviceable, rebuildable, and reversible.